The molecules and processes responsible for energy acquisition, energy manipulation, growth and reproduction are basically similar in all life-forms. To understand life, consideration must be given to describe the molecules that determine its structure and to the ways in which molecules are organized. The Molecular Basis of Spirituality describes the organization of molecules that is responsible for the coordination of living functions and living activities of life-forms. Spiritualism involves the capacity or capability to organize molecules to establish the reality of biological existence by any life-form. To explain the Molecular Basis of Spirituality, I would begin with the simplest life-forms that we know. 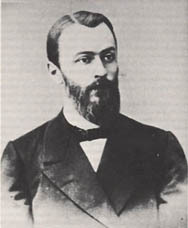 Dmitri Ivanovsky( Dmitri Iosifovich Iwanowski ), Russian Botanist in 1892, discovered the filterable nature of a very tiny agent that causes Tobacco Mosaic Disease. Martinus Beijerinck, the Dutch Microbiologist in 1898 named the mysterious infectious agent that causes Tobacco Mosaic Disease as ‘VIRUS’. I am glad to pay my respectful tribute to Dmitri Ivanovsky, Russian Botanist, and to Martinus Beijerinck, the Dutch Microbiologist, the founders of Virology, the Study of Viruses. 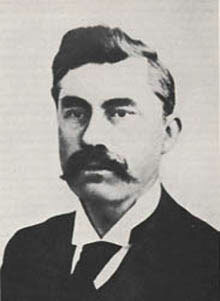 Ivanovsky studied the Tobacco Mosaic Disease during 1892. By conducting experiments he had demonstrated that the disease is caused by a filterable agent smaller than bacteria. In 1898, Beijerinck independently replicated Ivanovsky’s experiments and found that the infectious agent could only reproduce by infecting leaves of the Tobacco plant. He named the mysterious infectious agent as Tobacco Mosaic Virus- the first Virus recognized. Virus is a complex, molecular life-form that blurs the boundaries of living and non-living material. Viruses are small masses of material( 100 – 2,000 angstrom ), complex molecular life-forms that blur the boundaries of living and non-living material. Most Viruses are smaller than the wavelength of visible light. They are extremely small and can only be seen with an electron microscope. As compared to light microscope, electron microscope can increase magnification from 1,000 – 2,000 diameters to around 300, 000 diameters. Viruses are 1,000 times more plentiful in water than originally suspected and hence Viruses could be the most numerous life-forms on Earth. Many hundreds of different types of Viruses exist and all of them need living cells to serve them as hosts. Viruses can only complete their life cycles as parasites as they reproduce only within the cells of their hosts, upon which they depend for many of their fundamental life processes. While many Viruses are harmless to their hosts, certain Viruses are responsible for important diseases of humans, animals, and plants. Many Viruses are known to man by the specific disease entities that they cause: Smallpox, Chickenpox, Measles, Mumps, Yellow fever, Polio myelitis, Rabies, Influenza, and the Common Cold. All of us without any exception would get the chance of experiencing the bouts of one or the other Viral infections. 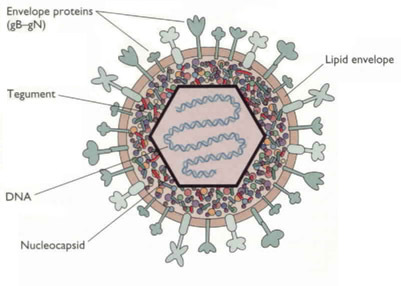 The DNA of Herpes Virus particle is enclosed by an icosahedral(20-sided) shell of 162 protein units, or capsomers, and by an outer spiked lipoprotein envelope. It causes infectious diseases in man like Chickenpox and Shingles. A complete virus particle or Virion consists of one molecule of Nucleic Acid, single or double-stranded, either DNA or RNA depending on the specific Virus. It has a protein coat called Capsid which consists of a specific number of protein molecules or Capsomers in a definitive arrangement. In some Viruses, the outer coat has lipid(fat) and carbohydrate. The protein coat helps the survival of the Virus while it exists outside a living cell. The protein coat is also concerned with the mechanisms by which the Virus enters and infects the host cell. To understand the concept of Spiritualism as a functional relationship that generates Peace, Harmony and Tranquility, we must know the nature of biotic interaction called Parasitism that causes Disease. Millions of human lives have perished due to the scourge of Viral Diseases that afflict humankind. 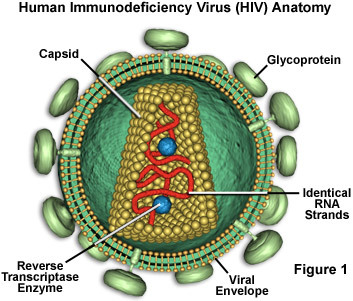 This Retrovirus called Human Immunodeficiency Virus(HIV) is responsible for Acquired Immune Deficiency Syndrome or AIDS. During the stage of its life cycle, when the Virus is free and infectious, the virus particle or Virion is inert, and does not carry out the usual functions of a living entity, such as reproduction or growth in numbers. The propagation of a Virus requires the internal environment of a complete cell, including its biochemical machinery. The Virus loses the protein coat upon entry into a cell, after which the genetic material of the Virus reproduces using materials made by the host cell. The Virus leaves the host cell surrounded by the protein coat, the characteristics of these protein molecules are determined by the genes in the Virus, but the protein molecules are synthesized by the host cell. Viruses are often described as “naked genes” which have discarded all other attributes of complete cells. The Virion or virus particle contains the knowledge or biological information that is needed for its replication. However, to perform that reproductive function, a Virus needs the host cell’s chemical energy, and protein-and nucleic-acid synthesizing ability. Viroids and Virusoids are the smallest and simplest form of all recognized Viruses and Self-replicating Molecules.They lack the protective shell of protein coat that most other Viruses have. 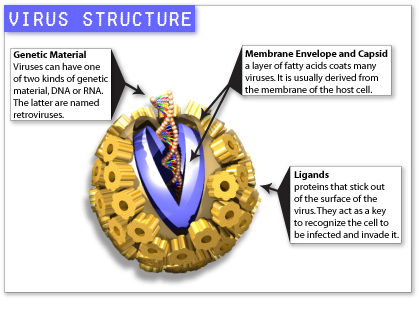 Viroids and Virusoids are the smallest and simplest form of all recognized Viruses and Self-replicating Molecules. Viroids are composed of nothing more than a single circular strand of genetic material and cause major disease in plants. Since Viroids lack the protective shell of protein, they do not even spread easily from one cell or plant to another. The genetic material of Viroid is RNA which has a length of only a few hundred ribonucletids(200-400). Viroids are described as molecules of “naked RNA” that are significantly smaller than the genome of the smallest Virus. They are also called ‘subviral particles’. Viroids/Virusoids “infect” other Viruses, and use the replication process of the host Virus to replicate themselves instead. Viroids are responsible for a number of serious diseases of economically important plants like the Coconut Palm and Chrysanthemums. Episomes are pieces of self-replicating genetic molecules found in some bacterial cells. These are similar to Viruses except for the fact that they only reproduce themselves when their host cells do, whereas Viruses reproduce themselves hundreds of times and often generate the signs and symptoms of the infectious disease they cause in the host. 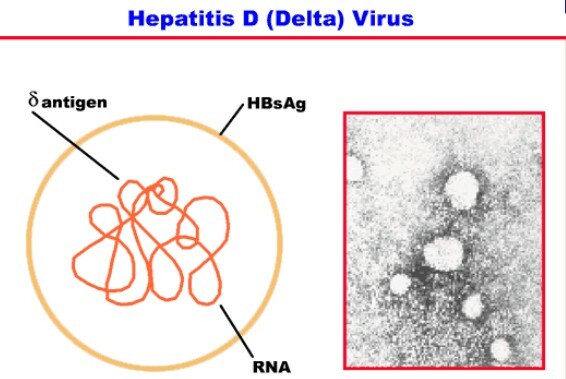 The only human disease caused by a Viroid is HEPATITIS- D. The Viroid is enclosed in Hepatitis B Virus Capsid. Viroids use different strategies for encouraging host Viruses/cells to replicate its RNA molecule. The RNA-containing Viruses are unique among living systems. They use RNA as their primary genetic material. Retroviruses produce the enzyme called RNA-directed DNA Polymerase or Reverse Transcriptase, which can make a DNA molecule from the Viral RNA molecule. This DNA molecule formed from RNA then serves as the principal genetic molecule within the infected, host cell. Retrovirus uses a life process that is termed ‘reverse transcription’. Two Retroviruses are associated with human leukemia which are Cancer of T-cells. The Retrovirus known as Human Immunodeficiency Virus or HIV is responsible for Acquired Immunodeficiency Syndrome or AIDS. 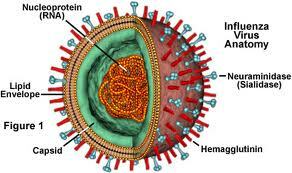 The Influenza Virus has the ability to cause pandemic(world-wide)infection of humans. The pandemic of 1918 is estimated to have killed 21-22 million people worldwide. The Virus got its name from the word “INFLUENCE” from an observation made more than 400 years ago that epidemics of respiratory illness occurred under the “influence” of planets and other astrological events. The term ‘spiritualism’ or ‘spirituality’ does not describe the ‘essence’ or character of this Viral Nucleic Acid Molecule. Nucleic Acids are organic substances that are characteristic of all living things. These organic molecules are not found in nature except as components or products of organisms. They are called macromolecules; molecules of molecular weight greater than 10,000 daltons or 10,000 times the weight of a Hydrogen atom. These molecules are long chains or polymers that consist of chains of smaller units called monomers. Each Nucleic Acid chain is composed of subunits called nucleotides, each of which is composed of a specific sugar molecule( Deoxyribose or Ribose ), a molecule of Phosphoric Acid, and a molecule of one of four organic bases: Adenine(A), Guanine(G), Cytosine(C), and Thymine(T). The two chief types of Nucleic Acid are DNA( Deoxyribo Nucleic Acid ), and RNA( Ribo Nucleic Acid ). DNA contains the sugar deoxyribose and RNA contains the sugar ribose, and the base Uracil(U) instead of Thymine(T). The specific sequences of nucleotides constitute the genetic information of the life-form. Each three-nucleotide sequence specifies one particular amino acid. The long sequences of nucleotides thus correspond to the sequences of amino acids in the proteins that are synthesized. 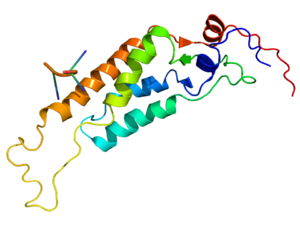 In order to be expressed as protein, the genetic information is carried to the protein-synthesizing machinery called Ribosomes found in the cytoplasm of the cell. Forms of RNA mediate this process and are important in the expression of the genetic code contained in the DNA for the synthesis of proteins. 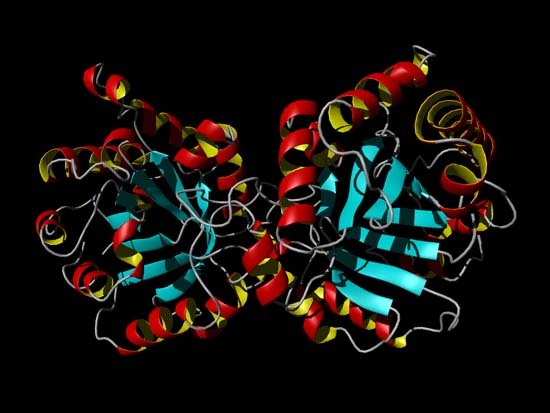 Although the triplet nucleotide code seems to be universal, the actual sequences of the nucleotides vary according to the species and individual organism. The Nucleic Acid Molecules, DNA/RNA is the substance of heredity; it carries the ‘essence’ or character of an organism from one generation to next generation. But, in the study of Viruses we have found that this ‘essence’ is not displayed until its ‘existence’ is supported and is established in a complete living cell. The Nucleic Acid Molecules do not have the capacity or capability of acquiring energy from their external environment. The Virion or virus particle is inert until it finds a host cell to establish its life as a living thing. The Nucleic Acid Molecules are important to establish the ‘essence’ of an organism and I find the characteristics called ‘Spiritualism’ or ‘Spirituality’ in the functional organization of those Molecules that establish the ‘existence’ of a living entity. Smallpox or Variola was one of the worst scourges ever to afflict human beings. 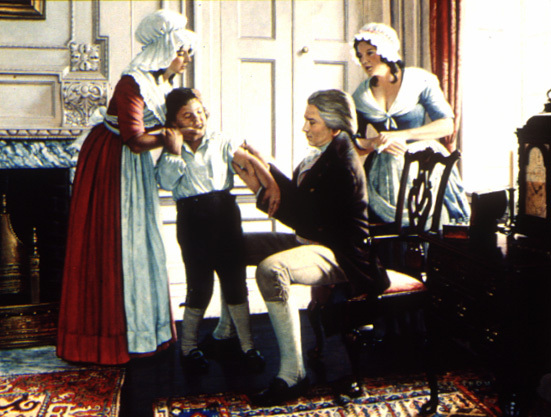 The Smallpox Vaccine developed by Dr. Edward Jenner, British Surgeon in 1796 was the first successful Immunization against any Infectious Disease or Agent. In October 1979, the World Health Organization(WHO) declared that the world is Smallpox Free. Spiritualism and Spirituality seek to establish Peace, Harmony, and Tranquility in all functional Biotic Interactions within the Individual and within the Biotic or Biological Community. The purpose and goal of Spiritualism or Spirituality is that of generating Peace, Harmony, and Equilibrium in all functional relationships within the Individual and between members of the Biotic or Biological Community. The disease, the disability, the morbidity, and death caused by Viral infections demonstrate the consequences of Biotic Interactions called Parasitism. The functional organization of a variety of Molecules that provide the functional ability called ‘Existence’ that establishes a living entity is the chief attribute of the ground substance found inside the Living, Complete Cell and the viral particles have no such functional organizational capacity or capability. The Spirit or Soul represents the ‘Knower’ of the Function and is the Architect of Molecular Organization that causes ‘Existence’. The role of various other Molecules, the Molecules concerned with Life, found in living cells will be given further consideration in my next blog post to demonstrate the ‘spiritual’ nature of the Protoplasm, the ground substance, the living material, or living matter that constitutes Life. 1. Place of Birth : Mylapore, Madras City, Chenna Patnam, Chennai, Madras State, Tamil Nadu, India. Born: Hindu, Brahmin(Niyogi-Smartha), Telugu Speaking. 2. Date and Place of Marriage : January 29, 1973, Congregational Town Church, Cuddapah, Kadapa District, Andhra Pradesh, India. Pingback: “I AM CONSCIOUSNESS, THEREFORE I AM” | Bhavanajagat. Pingback: A SPECIAL REQUEST TO U.S. CITIZENS OF REBBAPRAGADAS GROUP: DEFERRED ACTION | Bhavanajagat. Pingback: SPIRITUALISM – TIME AND LIFE – SPIRITUAL INTERACTIONS | Bhavanajagat.